The rankings are in, and you officially have no reason to complain about your job unless it's snagged the number one spot on this list. Jobs Rated recently released their worst jobs of 2016 report. Jobs were ranked across four areas: environment, income, outlook and stress factors. The data was clearly reflective of the fact that print news and publications are on their way out, thanks to the rise of digital media outlets. Many of these professions had numbers in the negative when it came to employment opportunities. 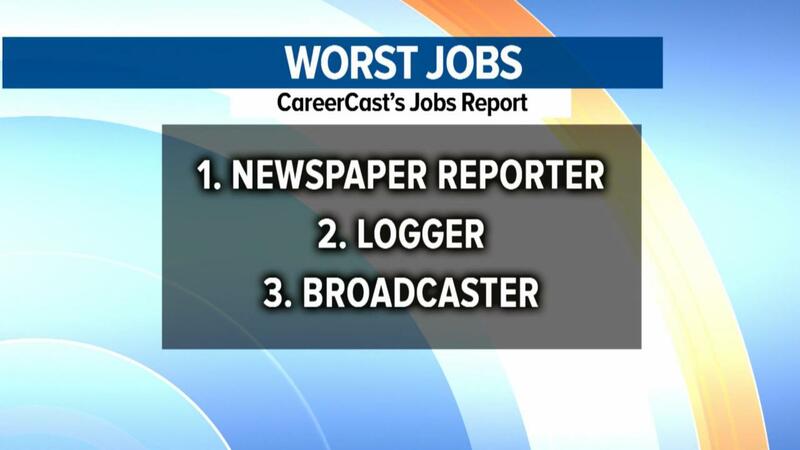 The number one worst job in America has clinched the title now for the third year in a row. "A gradual decline in print publications at the turn of the century became a steep downturn for the past decade. Publications folding mean far fewer job prospects, and declining ad revenue means unfavorable pay for those in the Fourth Estate." The Jobs Rated score for each profession represents a cumulative score of a series of rankings that were given across the four major categories of job evaluation. Aside from opportunity to grow and find employment in the field, overall stress level and safety also played a big part in putting these jobs in the bottom 10. Salary played an important part in the rankings, but didn't seem to be as crucial as other factors. There was about a $26K annual difference in salary amongst the highest earning profession in the bottom 10 and the lowest earning.